One year ago today, I left South America. I left because I had originally planned to return to the US: I had bought a round trip ticket; I had a finite amount of money, which I carefully budgeted as I volunteered for a year and traveled for four months; and I knew I had to come back to the US for my brother’s wedding in May. However, it became clear to me as I approached the end of my time that I wasn’t ready to leave. 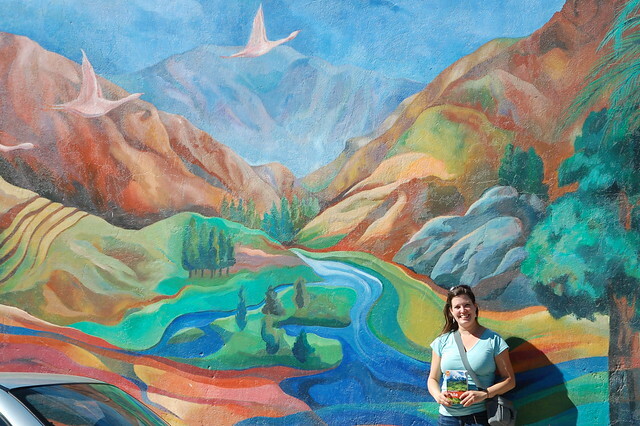 For some reason, I feel most myself when living in South America; my heart feels at home in the Andes. As I traveled, I thought about where I might like to live and how I could get there. Returning to the US was one of the hardest things I have ever had to do. Reverse culture shock is no joke. I suffered intense grief over the many losses I experienced upon leaving. However, I worked hard to maintain my positive attitude, to accept reality, to live fully in the present, and to accept that life doesn’t go as planned. This has enabled me to enter one of the most creative periods of my life, which inspired me to start English with Kim, my own small business, and write regularly here, among other pursuits. One of my mantras over the past few months has been “Trust the flow of your life.” American culture encourages us to plan every moment, to try to control outcomes, to predict and map out our lives. I get sucked in to this as much as the next person. But if there’s anything I’ve learned from my time in South America, it’s that you can’t predict the future, and you have to be flexible and receptive to all the possibilities life might bring your way. There is so much more to say as I continue the preparations to leave, this time indefinitely. I have no idea where this journey will take me, but I’m looking forward to starting it in six short weeks! Can’t wait to read more as you start this new adventure!